Michael Monroe in Montreal or Quebec City? Inform me about the next events for Michael Monroe. Enroll yourself to our priority waiting list for Michael Monroe to be alerted when new tickets are available. Filling this form doesn't engage you to any purchase. 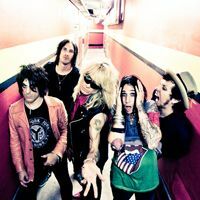 Finnish glam rock singer Michael Monroe will be performing at Foufounes Électriques in Montreal on October 5th, 2011. Ex-Hanoi Rocks leader, Michael Monroe is now doing his own solo thing. He recently released Sensory Overdrive along with his new bandmates : guitarists Ginger (The Wildhearts) and Steve Conte, fellow Hanoi Rocks bassist Sami Yaffa and drummer Karl Rosqvist.